This page eventually should have pictures of all the ringers at Warmley and any other useful information that is available. 2016 is the 40th anniiversary of the trophy made by Brian Angell being presened for the first time. The winners of the first presentation of the trophy were Warmley Tower. The members of the tower in the picture are L to R.
Tony Gibbs, Bill Lampard, Myra Gibbs, Ken Weeks, Rita Lampard, Phillip Hicks. 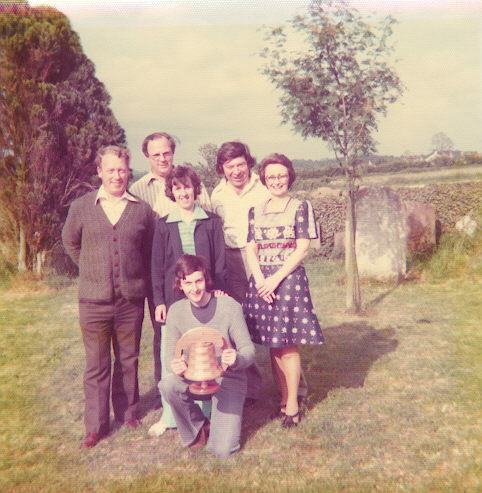 The Striking Competition in 1976 was at Cromhall.